Among the most desirable aspects of the Cloverdale real estate market is the well-designed townhomes that make up about 30 percent of Cloverdale homes. These homes are ideal for young families looking for a more affordable alternative to detached houses, empty nesters seeking a homes with less maintenance, and even couples who don't need a single-family home, but want more space than a condo. Fortunately, with the variety of townhomes in Cloverdale, there are options for every demographic. Cloverdale townhomes for sale include two-, three-, and four-bedroom options in private communities, as well as attached row houses and duplexes. Begin your exciting search for one of the many modern townhomes in Cloverdale by viewing the currently listings on this page, or by reading more info on these homes below to further educate yourself. 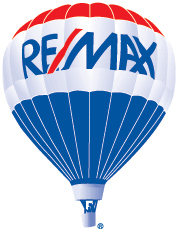 Register with Cloverdale real estate expert Robbie Johal to read the details on every listing on this website. By signing up, you can also save your favourite listings and use custom search tools to enhance your Cloverdale home search even more. Located of safe, residential streets, Cloverdale townhomes offer all the necessities most buyers look for in a single-family home. The only difference is they're generally more affordable and involve much less maintenance. Most townhomes have backyards and enough room in the front to have a modest garden, but don't require the same upkeep as the yards in detached houses. The same principle applies for the interiors. While townhomes provide all the space the most residents will ever need, you'll likely spend much less time cleaning as you would in a single-family home. Cloverdale townhomes vary in size, with floorplans ranging from just over 1,000 square feet for a two-bedroom home with either one or two bathrooms up to nearly 2,500 square feet for a townhome with four bedrooms that often has a flex room and upwards of three bathrooms. Because most townhomes in Cloverdale have been built recently, you'll find a number of modern interior features. These can include gourmet kitchens with islands and stainless steel appliances, energy-efficient heating and cooling systems, high ceilings, and even powder rooms in select homes. 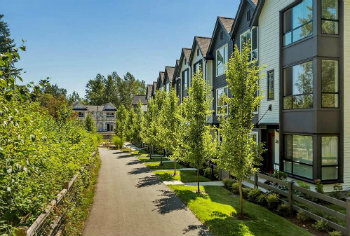 Prices of Cloverdale townhomes for sale start between $200,000 and $300,000 and can reach around $750,000. Considering the price of Vancouver and Surrey real estate, these are very good prices when you take into account that many Cloverdale townhomes are just as large as single-family homes and are in great condition! If you're interested in looking at any of the Cloverdale townhomes for sale, contact Cloverdale real estate expert Robbie Johal today! You can also explore the entire Cloverdale real estate market on this website, by viewing current listings for Cloverdale single-family homes and Cloverdale condos for sale.